Roland Barthes at the Collège de France studies the four lecture courses given by Barthes in Paris between 1977 and 1980. This study, the first full-length account of this material, places Barthes’s teaching within institutional, intellectual and personal contexts. Analysing the texts and recordings of Comment vivre ensemble, Le Neutre and La Préparation du roman I et II in tandem with Barthes’s 1970s output, the book brings together for the first time all the strands of Barthes’s activity as writer, teacher and public intellectual. Theoretically wide-ranging in scope, Lucy O’Meara’s study focuses particularly on Barthes’s pedagogical style, addressing how his wilfully un-magisterial teaching links to the anti-systematic, anti-dogmatic goals of the rest of his work. Barthes’s methodology sought to negotiate the balance between singularity and universality, and central to this endeavour are aesthetic thought and techniques of essayism and fragmentation. Barthes’s strategies are here linked to broad intellectual influences, from the legacies of Montaigne, Kant, Schlegel and Adorno to the contemporary intellectual trends which Barthes sought to evade, and his attraction towards Eastern philosophies such as Zen and Tao. Barthes’s lectures discuss ideal forms of community life, ‘neutral’ modes of discourse and behaviour, and the idea of writing a novel. His consideration of these fantasies involves a profound exploration of the nature of literary creation, social interaction, subjectivity, and the possibility of a universal particular. Roland Barthes at the Collège de France reassesses the critical and ethical priorities of Barthes’s work in the decade before his death, demonstrating the vitally affirmative core of Barthes’s late thought. An Open Access edition of this work is available on the OAPEN Library. A well-researched and well-executed study...it will gain an honorable place on the shelf of books about Barthes. 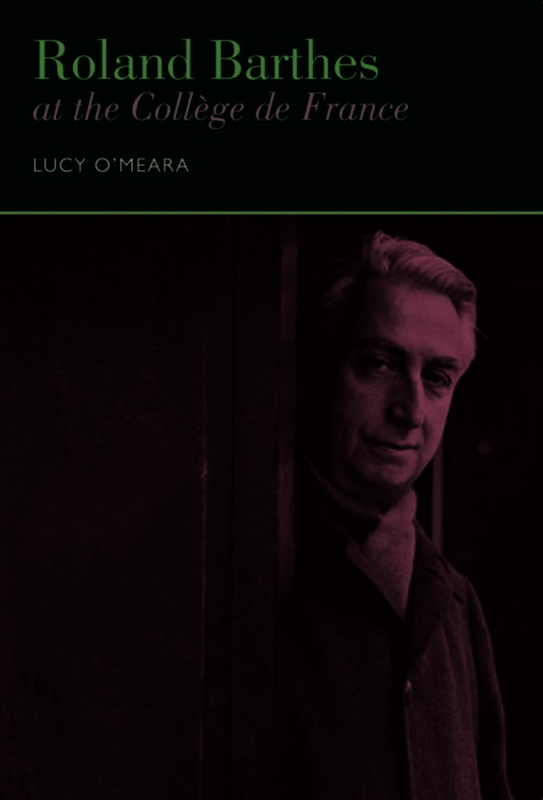 Lucy O’Meara’s lucid and sophisticated commentary on Roland Barthes’s rethinking of the relationship between singularity and universality will appeal to any reader with an interest in recent French intellectual history. Lucy O’Meara’s book is among the first monographs on this important addition to Barthes’s corpus. … an important and insightful contribution to the study of Barthes’s late period. Lucy O'Meara is lecturer in French at the University of Kent.